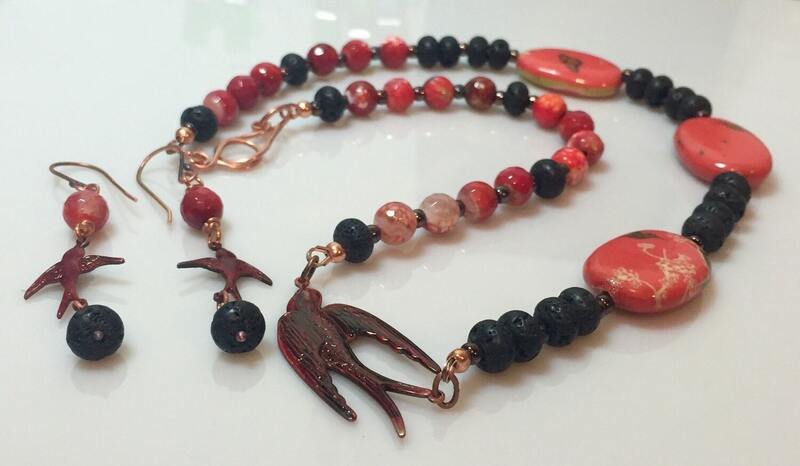 Hand painted base metal bird with faceted Quartz beads, lava rondelle beads and red decoupage beads. Finished with a hand forged copper clasp. 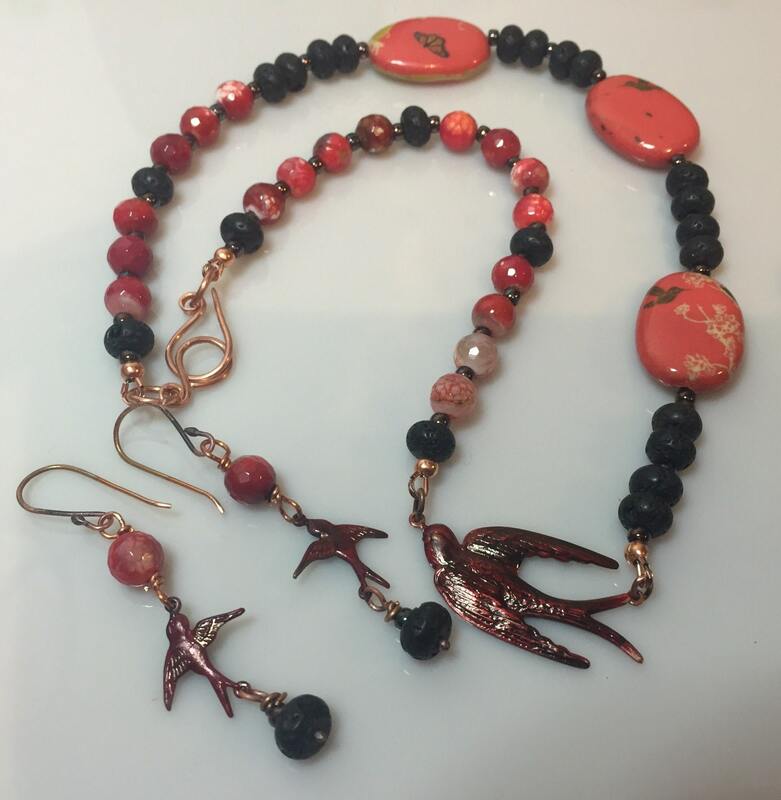 The matching earrings have hand forged ear wires with hand painted birds, Quartz and lava beads. 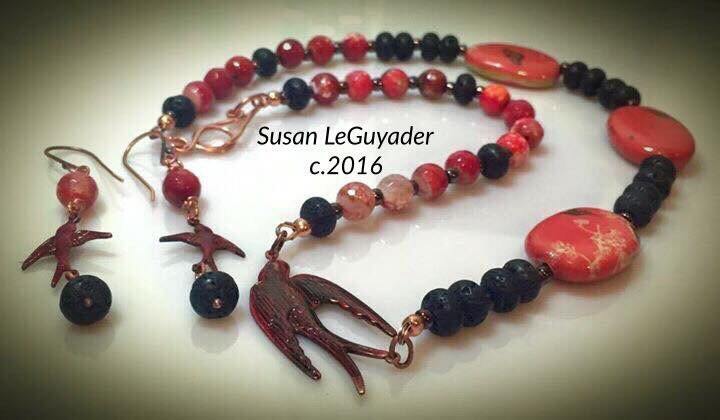 Necklace is about 20" long and earrings 2 1/4 inches long.